Improving Kiowa e-Commerce strategy on time and on budget with expert support from partners Digital Vantage Point and K3. 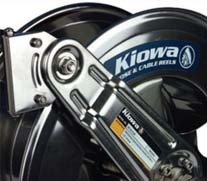 Kiowa Ltd, based in Lincolnshire, UK, has established themselves as a national manufacturer and distributor of industrial hose assemblies and fluid power products that has the capacity and capability to service large organizations. Using Nav-to-Net™, Kiowa is able to leverage their NAV system, resulting in efficient business processes to better serve their branches, suppliers, and customer base. DVP and K3 configured Nav-to-Net™ to their exact needs and high standards, making it a significant part of their business’ growth strategy.